A lightweight, deeply-hydrating SPF moisturiser that leaves a warm, luminous tint while nourishing skin with corrective antioxidants. 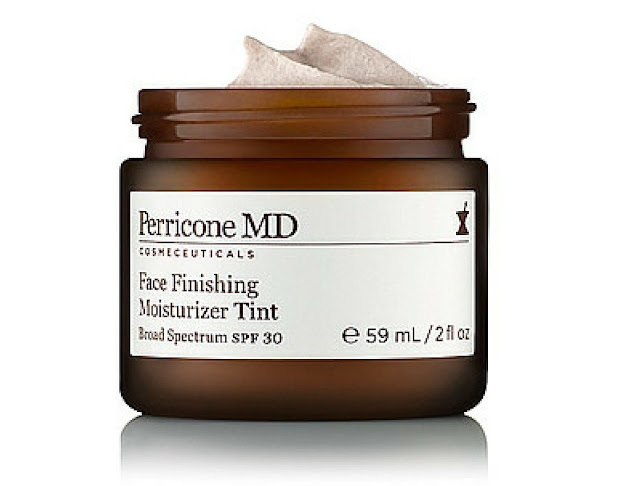 Released in 2015, Face Finishing Moisturiser Tint by Perricone MD, is a deeply-hydrating, antioxidant rich moisturiser with SPF30 for full skin protection, also containing corrective nutrients for the skin while imparting a luminous, tinted glow. This Oil free and fast-absorbing, lightweight cream is formulated with unique pigment capsules that slowly release upon application to steadily reveal a warm tint that adjusts to individual skin tone. Featuring key sciences that include Alpha Lipoic Acid, Vitamin C Ester, and other powerful ingredients, the product helps defy the signs of ageing by boosting collagen and elastin production while brightening, renewing and smoothing skin’s texture. If you're looking to get the very best out of your skin, then make Perricone MD Face Finish Moisturiser Tint a must try product in 2016. This extraordinary cream will leave your face looking toned, tighter and revitalised, with an added tint for an overall healthier appearance. - Tint adjusts to individual skin tone to reveal a naturally healthy radiance. - Protects the skin from UVA and UVB exposure. - Powerful anti-ageing and anti-inflammatory formula. - Provides nourishing moisture and hydration in a lightweight, elegant texture.